IronVision™ is a 360-degree panoramic situational awareness system that enables tank and infantry crewmen to ‘see-through’ their vehicle&#39;s armor in real time, creating a complete and clear visualization of the battlefield. 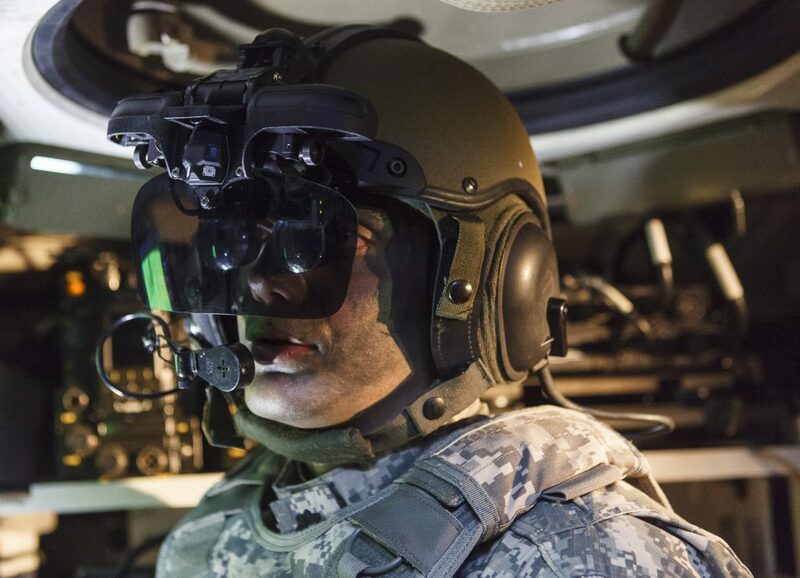 After years of introducing cutting edge technologies that have revolutionized helmet mounted systems (HMS), Elbit Systems announces its latest development in the field: IronVision – an advanced HMS for commanders and drivers of closed-hatched armored fighting vehicles, including all types of main battle tanks and infantry fighting vehicles. IronVision is based on the proven sensors and system architecture that is already integrated in thousands of fixed and rotary-wing aircraft HMS being used by most modern air forces worldwide. The new HMS incorporates advanced See-Through Armor (STA) technology that lets wearers ‘see through’ the armor of their vehicle in order to obtain full, real time situational awareness through which they can locate, identify and track enemy forces or capabilities. This is a vital advantage when it comes to carrying out missions that include joint forces and sustained high-intensity operations. IronVision’s 360-degree, high-resolution imagery is projected in full color and zero latency to the wearer&#39;s visor, offering a clear and vivid display of the surroundings in both day and night and in all types of weather. Through its user- friendly interface, IronVision leverages the digital infrastructure of the vehicle by seamlessly integrating STA technology with existing C4I and warning systems, which creates a powerful cognitive simplifier for commanders, enabling them to make complex situation-dependent decisions within split seconds, and also leads to more freedom and fewer distractions for the driver. The highly sophisticated helmet and support system collects information from different digital sources within and around the vehicle. IronVision displays and tracks the positions of various features of interest, ranging from a single person standing or crawling several meters near the vehicle to a moving vehicle located 150–300 meters away. By using the helmet, the wearer obtains complete freedom of movement and is able to shorten the sensor-to- shooter cycle, all while remaining fully protected under closed hatches.